I am obsessed with this gloss! It is shiny, feels minty and tingly on my lips, and plumps my pout. Now my lips can be as plump as the rest of me. Ha! 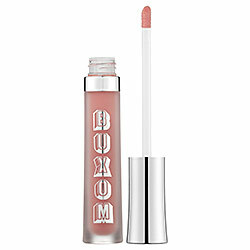 I went into Sephora to return something, when the sales associate told me they had a gift with purchase of Buxom gloss. She was wearing it and her lips looked fabulous. I thought what the heck! I walked out with two and the free mini gloss. Been wearing them and loving them and want more! What's your latest beauty obsession?